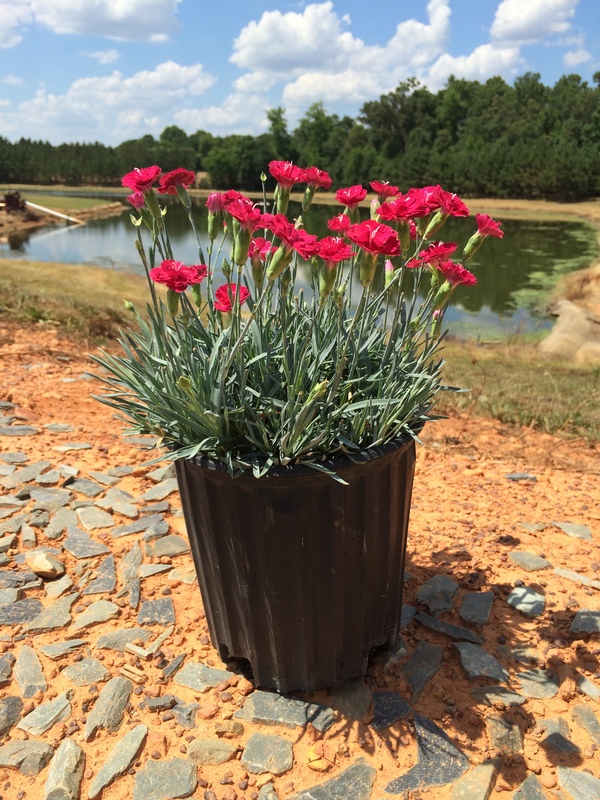 Silvery-blue evergreen foliage is topped with slightly fragrant, bright red blooms from spring into early summer. Deadheading the spent flowers will encourage repeat blooming. Prefers full sun and well drained soil. Deer resistant.